22 December 2017: So here we are. 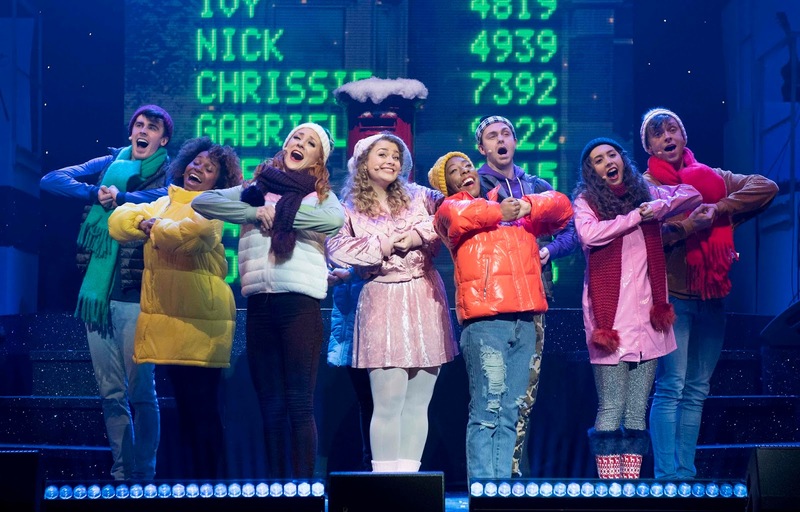 Multi-talented Tom Fletcher has brought his children's book The Christmasaurus to life, bringing it to the huge stage of Hammersmith Apollo for a festive run... And what a delight it is! If you don't know the story, it tells of young William Trundle who is longing for a dinosaur for Christmas, but even more, he'd love for his Dad to not be as lonely this Christmas. Fletcher has done a fine job bringing this to the stage, playing both the Narrator and Dad, Bob Trundle. But not only that, he has written all the music too, sings, dances... there is no end to this man's talent - Bravo! However, it is not only Tom who we get dazzled by, there is a plethora of talent on display this Christmas. Giovanna Fletcher has a terrific voice, lending her harmonies on many songs throughout, especially of note is 'Don't Know What it is', what a fabulous little number that is with a wonderful dance from Harry Judd and ensemble member Katie Bradley. Harry Judd doesn't just dance though, he also gets behind the drums at one point when we have a mini McBusted reunion on stage with Tom on guitar/vocals, Giovanna and Carrie Hope Fletcher on backing vocals, and Matt Willis on Bass. Matt Willis plays The Hunter, who is out to spoil everybody's Christmas, and to be honest he would make a great villain in any production - his acting, singing, comic timing and rapport with the audience work a treat. 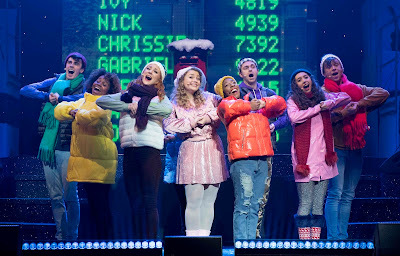 Carrie Hope Fletcher playing Brenda Payne on the other hand just takes this show to another level - her vibrant performance is simply amazing, and the way that the music is written for the show, she shows off her dynamic vocal range with great ease and power. This brings me to the band, one word - Fabulous! 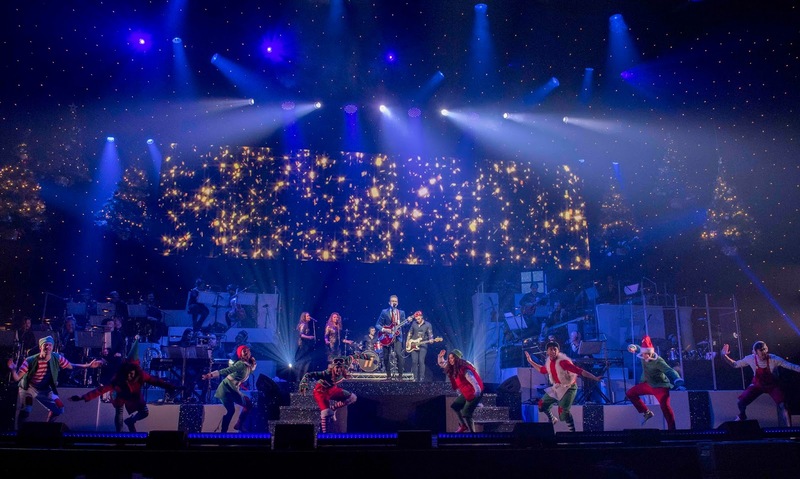 Steve Sidwell and the musicians are worth the ticket price alone, a full big band orchestrating the score which Fletcher has worked hard on with elements from Stadium Rock to West End Musical, it is a pleasure to listen to. Add to this a great sounding system from Gareth Owen, video projections which aren't too obtrusive and work nicely with rest of the staging, and lovely lighting from Howard Hudson, we are in for a truly scrumptious show. Playing to a packed out house of 3500, a standing ovation was well and truly deserved. Lets hope this show is back in the future, it certainly deserves to be in the West End.